Our short story competition series began in January 2010 and has been run every quarter since then. These competitions have continued to delight and challenge, yielding many stories that have been described as good, innovative, and excellent. All of the winning stories have also been published in our competitions magazine, Sentinel Champions. The level of entries have increased with every competition since they were introduced, but we are yet to attain the 150-story target we have set for this competition. We reduced the entry fees for the short stories from £5 to £4, and those who enter 3 stories only pay £10 and 4-story entrants pay just £12.00. We have kept the cash prizes at £150 (first), £75 (second), £50 (third) and 3 x £10 for high commendation. 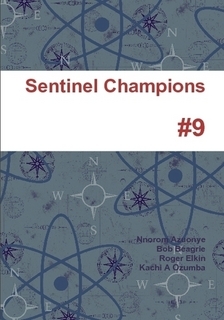 All winning and commended stories also receive first publication in Sentinel Champions magazine, and the authors receive free contributor copies. We would like to make the April competition a great success and hopefully, with your support, we will smash the 150-story target. This quarter's judge is Kate Horsley, a prize-winning short story writer herself and creative writing lecturer at Lancaster University. Don't forget, every entrant to this short story competition will be entered into a prize draw to win a year's subscription to Sentinel Champions magazine. Print off ENTRY FORM here. Entry fees are still £3 per poem, £11 for 4, £12 for 5, £16 for 7 and £22 for 10. The prizes remain the same at £150 (first), £75 (second), £50 (third) and 3 x £10 for high commendation. All winning and commended stories also receive first publication in Sentinel Champions magazine and the authors receive free contributor copies. Remember, every entrant to this poetry competition will be entered into a prize draw to win a year's subscription to Sentinel Champions magazine. make-believe. A well-accomplished tale with believable characters. of cows that bothered her most. buy all the beef she could find and re-assemble it. It is quite possible to think the poetic narrator’s sister in this piece needs a shrink of sorts. A delightfully uncomfortable read. At this point, I invite you to savour the beauty of ‘Children of the Rubble’ – the second prized short story in the July 2011 SLQ competition. This wonderful and highly symbolic piece celebrates emancipation from paranoia and mental incarceration. Here, the children of a drug-whipped former movie star shielded from government goons who would reprogramme their minds as part of a crime prevention experiment, in a rodent-infested home, finally come of age. You will also smile through ‘Table for Two?’ – Warren Paul Glover’s SLQ July 2011 third prize winning short story, and a chuckle is not going to be out of place here when this story is put side by side with Madigan’s ‘The Maitre d’’. This is a story about infidelity in marriage, in which Peter does his best to give his mistress Fiona, a memorable birthday in the city of love, and fibs to his wife that he would be at a work-related event in Leeds. But Paris holds a nasty surprise for him, where he realises that his sinned-against wife Carol is no angel afterall. The birthday dinner and weekend in Paris goes terribly wrong. Table for Two? will get many cheated women on their feet screaming ‘yes, yes, yes.’ Glover’s story is sparse, very economical and engaging. It leaves the reader at the end writing the next scenes. Some people may have issues with the severally alternating points of view in ‘Table for Two?’ but I can’t shake this feeling that, Glover, being an accomplished playwright has adapted this story from a short play and has kept the scenes as they were. Were space no object in this magazine, I would certainly have something to say about every winning or commended work published herein. Just quickly, I’d like to say what a great joy it has been to read Jenny Donnison’s beautiful ‘Starlings’ - winner of the SLQ poetry competition (July 2011), about a couple whose relationship is choking on textured silences who take an evening out to see a flock of Starlings showing off against the backdrop of Brighton Beach’s sky. You will find this poem fascinating, from the visual form of it – a rectangular block in the middle of the page, the minimal punctuation and lines running into each other that punches the air out of your lungs. Starlings is a worthy champion poem in the great company of her own other poem ‘Aestivation’ and Richard Halperin’s ‘The River 8’ – the respective third and second prize winners in that competition. I am particular grateful to our great July 2011 quarterly competition judges; Kachi A. Ozumba (short stories), Bob Beagrie (poetry) and Roger Elkin, judge of the annual poetry competition for the job of finding the winners and commended work that have fed this quarter’s Sentinel Champions magazine. But more, my gratitude goes out to the hundreds of writers who continue to support the Sentinel writing competitions. This year, we shall be introducing the Sentinel Annual Short Story Competition to be judged by Tears in the Fence editor David Caddy. As usual, we shall be counting on your continued support and participation. Congratulations to the winners. The books will be sent out within 48 hours. should leave the reader with that feel-good factor in the end. 2nd - £50.00; 3rd - £25.00 plus 3 Highly Commended prizes of £10.00 each. or by UK sterling cheque or P.O. Sentinel Poetry Movement aims to build successful partnerships with poets, artists and writers from across the world to create and develop literature and visual arts through publications, fairs and exhibitions, festivals, and film. Access our Critique Services – let our consultants work with you to make your work publishing and award/contest-fit. Buy or subscribe to our magazines; Sentinel Literary Quarterly www.sentinelquarterly.com and Sentinel Champions www.sentinelpoetry.org.uk/champions . - The International community of writers and artists…since December 2002.